Download as a PDF: Boulder: A Fashion Hub? Boulder is known for a lot of things, but fashion is not one of them. With the reputation of having a “granola grunge” look, people don’t know that Boulder is following Denver as an up-and-coming hub for fashion in Colorado. Many, when describing Boulder’s fashion, describe it as eclectic. One misconception about Boulder is that they are stuck in the Woodstock era, filled with tie-dye, cutoffs and Birkenstocks. While this is true, there is an influx of trendy college students and working professionals that bring Boulder’s style to the modern era. But walking down Pearl Street and seeing this juxtaposition of clothing is what makes Boulder unique. The athletic wear mixed with the streetwear; the professional wear mixed with grunge. The vibe is so contrasting, and fun. “The best thing about Boulder fashion is that it has evolved to incorporate past trends while staying current. There is an eclectic mix of fashion in Boulder and that’s what makes it Boulder,” says Terri Taka-Smith, director of marketing and communications for Downtown Boulder. The hottest attraction in Boulder is its start-up scene. Each year Boulder hosts Boulder Startup Week (it happened May 11-15), where over 120 events are hosted over a period of five days that builds community momentum around entrepreneurship. This focus on entrepreneurship has allowed for Boulder-based fashion companies to flourish. And we aren’t just talking about athletic wear, which is the majority of clothing companies that come out of the Denver/Boulder area. Many know the athletic companies such as SmartWool and Pearl Izumi, but Boulder has expanded for carrying quite a selection of ready-to-wear clothing. Weekend’s, Starr’s Clothing and Savvy on Pearl are just a few boutiques that carry the trendy clothing that come straight from the runways. 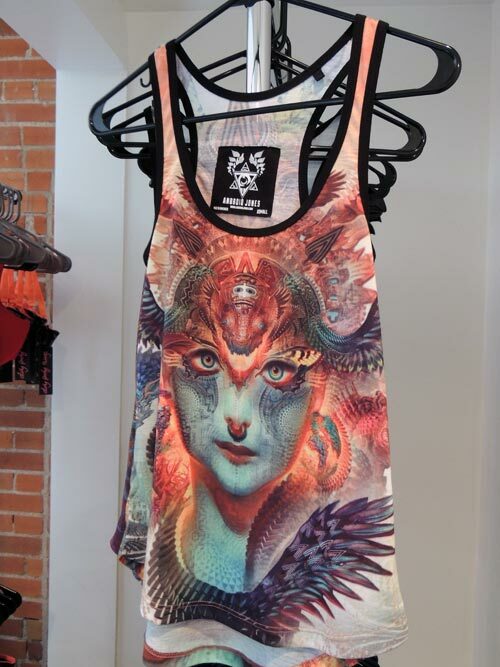 This, paired with national brands such as Free People and American Apparel, give Boulder an edge in the fashion world. The Cotery allows anyone, whether they are a designer or an artist, to create apparel from their creative vision. While The Cotery was intended to draw skilled fashion designers, the platform has drawn the attention of visual artists, photographers and illustrators from all over the world. The Cotery differentiates from the Denver Design Incubator (DDI) in that The Cotery is a platform that provides the tools to design and manufacture a vision into apparel products, whereas the DDI is just a design space, giving designers the tools they need to make their own clothing. Another differentiation is that you don’t have to have any technical design skill to create at The Cotery. You just need a design, and The Cotery will take care of transforming it into apparel and putting it into production. The Cotery carries 27 different products that can be produced, with manufacturing taking place in Los Angeles. 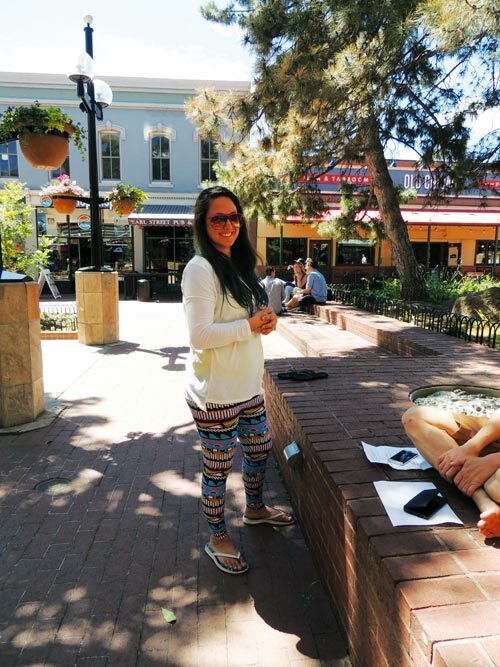 Genevier has lived in Boulder since 2011 and notes that the clothing reflects the passion of the recreational scene. To her, the fashion evolution is Boulder is going in a “different direction” than that of a major city such as New York or Los Angeles. But it’s getting better. For the last few years, Boulder has been part of a regional partnership with Vogue magazine in hosting a Fashion’s Night Out in 2011 and 2012. Their offshoot, Fashion’s Night Downtown, came about in 2013. Boulder was one of 250 U.S. cities and 16 international cities to host a Fashion’s Night Out, which typically happens each September before New York Fashion Week. The event allows the fashion to comingle with music and food, not only to showcase the clothing from the local boutiques, but provides a night out for everyone, not just fashion gurus. Since Fashion’s Night Out dissolved as a whole, Boulder decided to continue with Fashion’s Night Downtown, the first happening in 2013. The event focuses on local boutiques, showcasing their collections in a fashion show and in-store events to promote the local fashion scene. This year, Fashion’s Night Downtown will take place Saturday, Sept. 26, with the fashion show beginning at 2 p.m., and in-store events from 3-5 p.m.
It’s not just the growing number of boutiques that has put Boulder on the map; it’s also the combination of their fashion and technology industries. CU Boulder is known for their school of engineering, but what happens when you combine engineering with apparel? One mechanical engineering professor at the University, Dr. Ronggui Yang, specializes in nanostructures, which can allow for energy conversion, storage and thermal management. Nanotechnology is a field of wearable technology, the next field of growth in the apparel world. Designer Ralph Lauren debuted the “Polo Tech shirt” last fall at the U.S. Open, an athletic garment that takes biometric data and steams it to your smartphone or tablet. Recently, the U.S. Department of Energy awarded Yang and four other academics in various engineering and design fields a $3 million grant to design garments with microscale tubing that directs warm and cold air throughout the garment. Basically, garments that serve as your own personal thermostat. These garments won’t only benefit the wearer; the garments will also help to reduce energy waste in buildings, by allowing the wearer to accurately adjust to their surrounding conditions. Yang and his colleagues will integrate advance textile technology with electronics and thermal management technologies to create a piece of clothing that is both comfortable and functional. In this way, Boulder isn’t just growing in terms of apparel start-ups; they are taking industries they already excel in and applying them in new ways to be on the cutting edge of the apparel world. Boulder has digressed from their stereotypical Woodstock style and has joined the modern era as an up-and-coming place for fashion and creativity to flourish. Not only in apparel in the traditional sense, but fashion that is on the cutting edge. This isn’t the last we are going to hear about Boulder’s fashion industry; it’s only the beginning.